Rahul Gandhi's NYAY, "A middle class blood sucking project" that will turn India from fastest growing economy to beggars economy! Rahul Gandhi’s NYAY, “A middle class blood sucking project” that will turn India from fastest growing economy to beggars economy! Massive! Modi Govt grants emergency.. When we speak about paying taxes, it is always the hard working middles class, below middle class who fall victims to tax burden. Recently, Rahul Gandhi with a desperate attempt to win votes, announced that his party will pay Rs 72,000/year to every low income family in India.This idea of his was obviously planned to attract people and did not calculate the repercussion or the catastrophic effect that would have on economy of India. Any scheme which involves giving free money to people or waiving off loans would put huge burden on country’s economy. While the politicians would announce such measures to attract voters, they never care where they get money from. Obviously they will not be paying from their pockets, they will not be selling their ancestral property to give money. So, they don’t care where the money comes from or who gives. But it has to be none other than the working middle class which will have to pay for every freebies that the politicians announce. 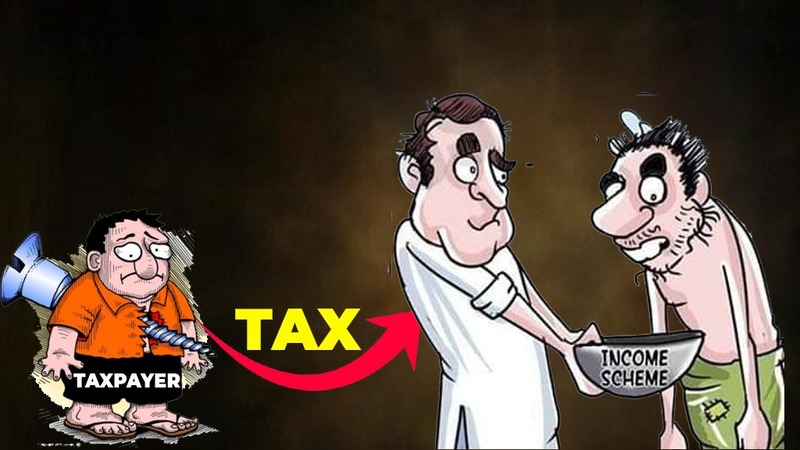 Similarly the NYAY scheme which Rahul Gandhi announced will be taking money from the pockets of tax paying middle class and filling the pockets of XYZ person, in most cases, the money would often fill the pockets of politicians. Now, the big question is how feasible is this scheme. According to Rahul Gandhi, he wants to give NYAY scheme to 5 crore families. If the amount is Rs 72,000/- family then for 5 crore, the amount would be 3,60,00,00,00,00,000 which is three lakh six thousand crores. This is nothing but 13% of the total budget and more than the defence budget of India. Not to forget, this is just for one year. So imagine for 5 years what would be the amount required for the government. It is >>> 18 Lakh Crore! Should we believe that Rahul Gandhi will give away 18 lakh crore to people just like that??? Would that party which failed to give Rs 100 benefit for farmers will give 18 Lakh crore?? Never, no politicians will even dream of giving so much money to people. Even if they did, from where will they get this huge amount? The answer is MIDDLE CLASS. Yes, it will be the middle class which will be paying for this unrealistic project. The idea of middles class paying the money was not imagined, but it was said by the very member of the Congress who planned the NYAY scheme. Abhijit Banerjee who advised about NYAY scheme in an interview to Times Now had said “NYAY will have to funded by new taxes. He said that at present India’s fiscal deficit is so large that the scheme is simply not sustainable without raising taxes”. Which means that the middle class will be posed with a set of new heavy taxes. The Income tax will be the first to be raised followed by GST, Petrol, diesel and for every other product you buy. Not just that, Abhijit Banerjee had clearly stated that implementation of NYAY will remove all current welfare programs. He said that many of the current schemes have no purpose, and nobody knows what their purposes are, and they will be replaced by NYAY. So, the farmers will lose all benefits like Interest free loans, loan waiver schemes and people will no longer get free LPG, free health care, free ration. Rahul Gandhi’s close aid and advisor Sam Pitroda himself admitted that they will be increasing taxes for the middle class to implement NYAY. He in his interview had infact said middle class should not to be greedy and must give money to poor. The pain will not stop there, as the tax rates on every commodity is increased, the spending efficiency of people will be ultimately lost. People will no longer be able to spend nor save their money in banks. This will directly hit the retail and whole sale market in India which will collapse within no time. When people lose the ability to buy things, the manufacturing sector will come to stand still. While one section of people will be getting money even without working, the other section of the people will be slogging just to fulfill politicians unrealistic dreams. Farmers will not get workers for field, which will stop the agri production, manufacturing sector will not be able to find labors which will shut down hundreds of small and middle scale factories on which 50% of India’s economy is dependent. Industries will have no skilled laborers which will bring them to stand still. The inflation will sky rocket, Exports will take a steep fall, imports will increase, Indian currency will lose value and fall against dollar. India will have to pay 2-3 times more in international market which will ultimately collapse the entire economy of the Nation. This is what Rahul Gandhi’s NYAY scheme is planned to do! The typical example of this situation can be seen in Venezuela. The Venezuela was one of the richest countries in the wold with enormous oil and petroleum wealth. 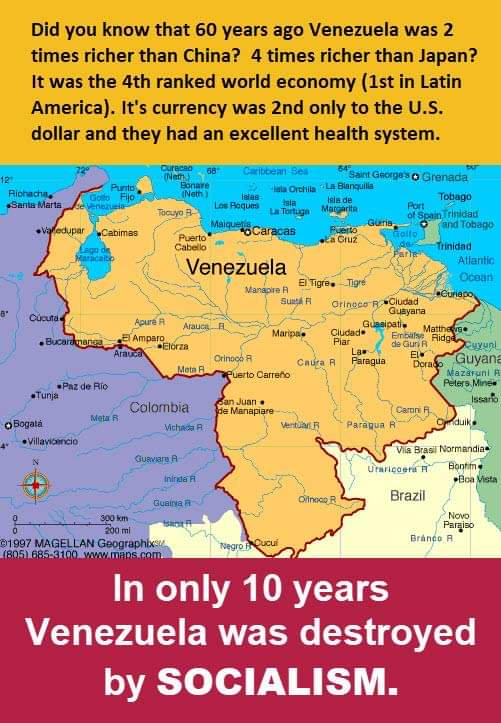 Such a country took a pit fall with a similar socialistic scheme which has made Venezuela a beggars country. Venezuela had enormous oil and gas resources, they supplied to most countries and their economy was totally dependent on it. The luxury life, easy money made the government neglect every other field and completely ignored manufacturing and production sectors. The greed to win elections and power made some of their politicians give freebies which made people quit jobs and earn money without doing nothing. The government gave doles to attract voters and made them completely dependent on subsidies. But situation did not remain the same, five years back when the oil price in the international market collapsed, the Venezuelan economy also collapsed with the oil price. Having no other resources, having no other means to run the country, Venezuela had to pay 5-10 times more in the international market to buy products. With no exports and only imports, the government started to lose all resources and their currency value fell like never before. The Bolivar which was second to dollar fell 1001.25 against dollar. Their inflation which was at 43% in 2013 is at 10,370% today. 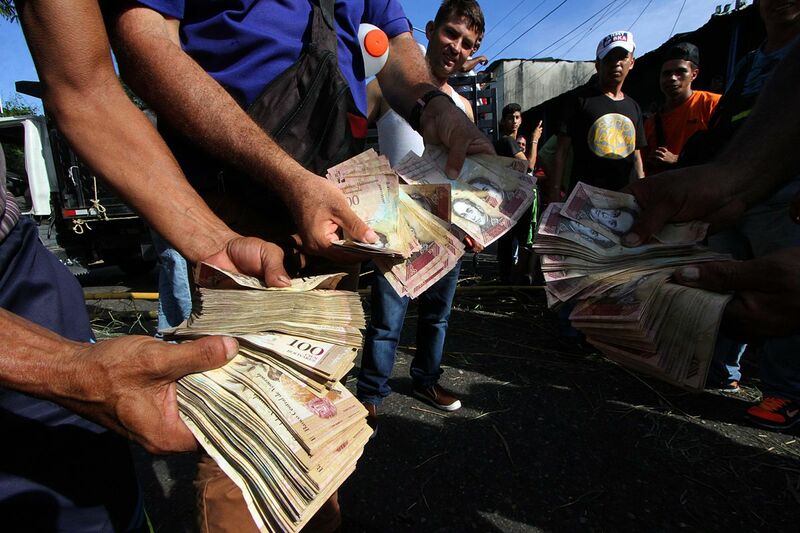 Their GDP which was 234.4 Billion USD, is today just 96.33 Billion USD.Venezuela people have to carry a suitcase of cash to buy a loaf of bread, they need to carry a truck full of cash to buy a bottle of milk. 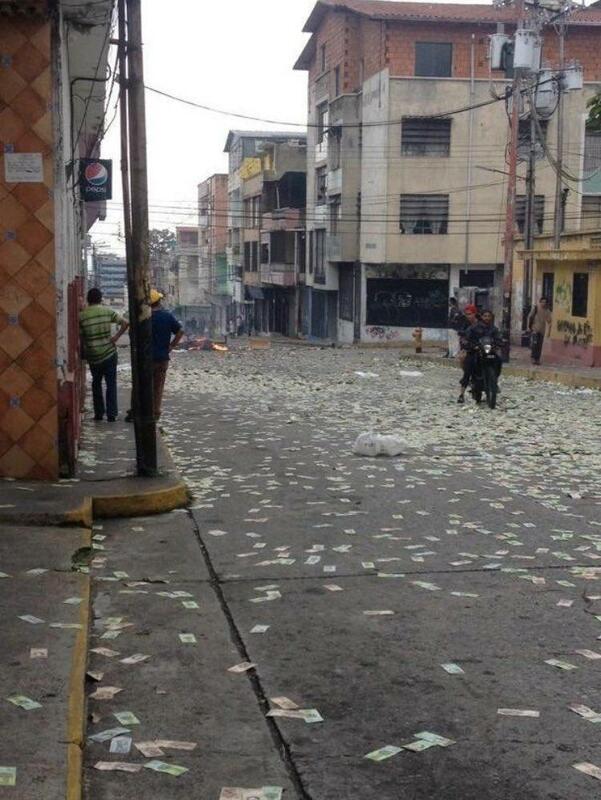 You want to see the currency of Venezuela ?? Here it is! This is the condition of Venezuela Today! This is exactly why today most of the oil rich countries are not depending on their oil export for to run their economy, they are rather focusing on renewable resources and manufacturing sector to save themselves from turning into another Venezuela. But in India, Rahul Gandhi is planning in the reverse direction and trying to implement a failed scheme rejected by all other countries. This is exactly what Rahul Gandhi’s NYAY scheme is all about. Taking money from middle class to pay others is nothing but choking the economy with a slow poison. No country will progress without working and giving freebies snatching from one to give another. 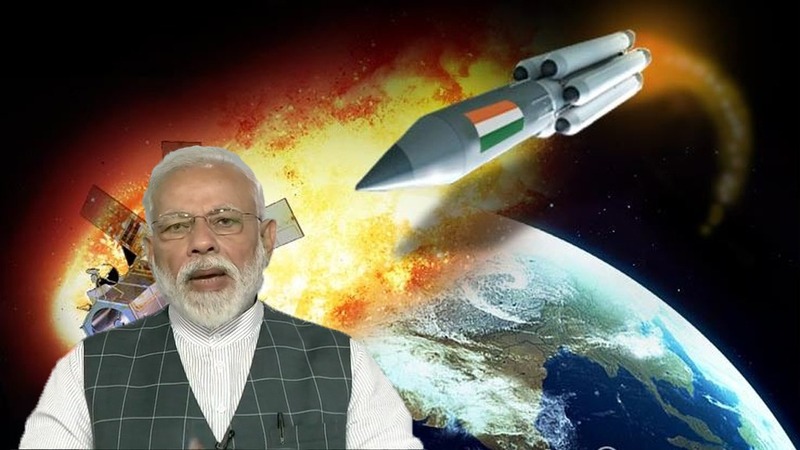 Remember, your every vote will decide whether India will take its path either towards becoming a SUPER POWER COUNTRY or a SUPER FAILURE COUNTRY!